The question was popped and you said yes, now the fun begins! Every aspect of this journey will be memorable. 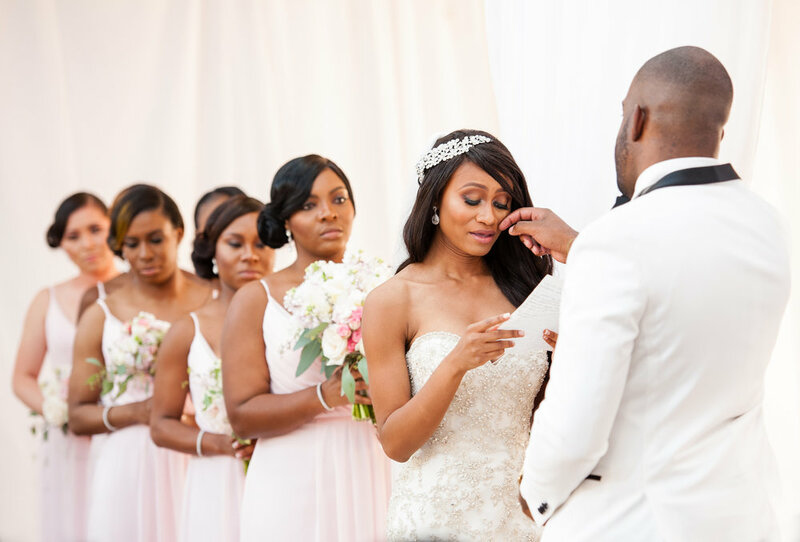 From selecting the fabulous members of your wedding party to choosing the lovely floral arrangements, every intricate detail of your wedding day will be fabulous and I want to hear all about it. My husband Derrick and I are a husband and wife photography team based in Philadelphia, PA. We are the proud parents of 2 adorable children Cameron & Erica who are truly awesome and have changed our lives in such an amazing way! Aside from spending time with our children I enjoy curling up on the couch sipping a warm cup of cinnamon apple spice tea, while Derrick loves going to the gym and drinking a venti caramel macchiato from Starbucks. "The best decision we made during our wedding planning process was selecting Sheronda & Derrick to capture the most memorable time of our life!! From the very beginning, they were very responsive to our inquiry, replying with a genuine enthusiasm for marriage and photography. They also take the time to do a meet & greet with each couple, even before booking, to learn more about you and your ideas. They are very professional and listened to our vision; also weighed in with their professional expertise where we needed. Sheronda and Derrick were very easy to work with and made a stressful wedding planning process, fun and effortless!! We are very happy with our Engagement and Wedding Photos.. and highly recommend them!!" "Sheronda Seawright is amazing and a breath of fresh air. They will give you exactly what you want and exceede your expectation. They are more than just photographers;more like story writers! Love them"
When we began planning our wedding, my husband and I knew that finding the perfect photographer was going to be a bit of a challenge. This is because my husband is a free-lance photographer and photography is his deepest passion in life. Needless to say, it took us some time to really find the right fit for us, until we met with Sheronda. After our first in person meeting Mike and I knew that she was to be our wedding photographer. Not only is her work amazing but her passion and love for what she does shows in her bright personality and also in her attention to detail and quality in every photo. And, it was so nice to work with someone who was just as excited about our big day, as we were! We spent so much time with Sheronda from our engagement pictures, to my surprise boudoir photos for my husband on our wedding, on our wedding day and all the time in between either necessary for planning or just to talk ideas out, Sheronda was there. And Mike and I can truly say that we have not just built a professional relationship with her but also a personal one. We highly recommend Sheronda Seawright Photography, she is worth every penny and we cannot wait to continue to work with her in the future! Best Decision we made!"